The TTOBY was designed to complement Chord’s desktop DAC/headphone amplifier, the Hugo TT and shares the same compact form factor as its stablemate. The combination of Hugo TT and TToby provides a high-quality hi-fi system, with desktop dimensions and a space-saving footprint. 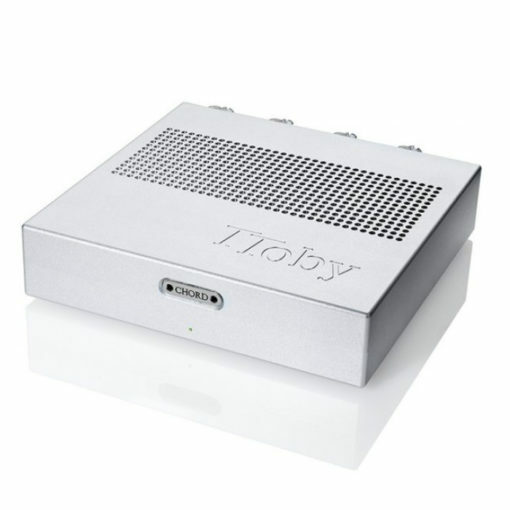 Despite its size, the TToby sets new standards for small amplifiers and takes full advantage of Chord Electronics’ proprietary amplification technology and design know-how.